Gottlieb Daimler acquired an estate in Taubenheimstraße in Cannstatt, Germany in 1882. 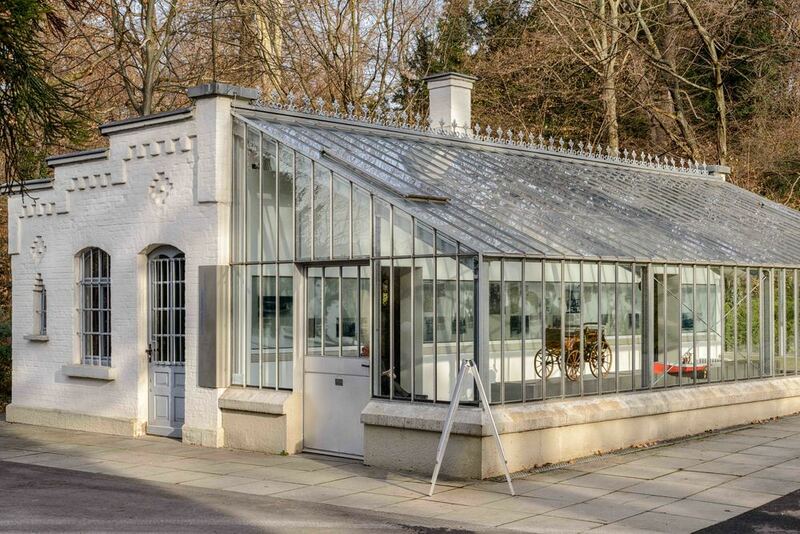 The greenhouse on the premises was converted into a workshop where Gottlieb Daimler and Wilhelm Maybach set out to make their vision of individual mobility come true – a vision of a light, universal engine for vehicles on land, on water and in the air. The heritage site is now a museum open for the public from Tuesday to Sunday, with free entrance. Gottlieb Daimler acquired an estate in Taubenheimstrasse in Cannstatt in 1882. The greenhouse on the premises was converted into a workshop where Gottlieb Daimler and Wilhelm Maybach set out to make their vision of individual mobility come true – a vision of a light, universal engine for vehicles on land, on water and in the air. Model of the "Motorised Carriage" and "Motor Boat" from 1886. The greenhouse with its workbench and smithy became the refuge of the two engineers. Daimler and Maybach worked day and night and in complete secrecy. The first high-speed test engine, from mid-Augst 1883. 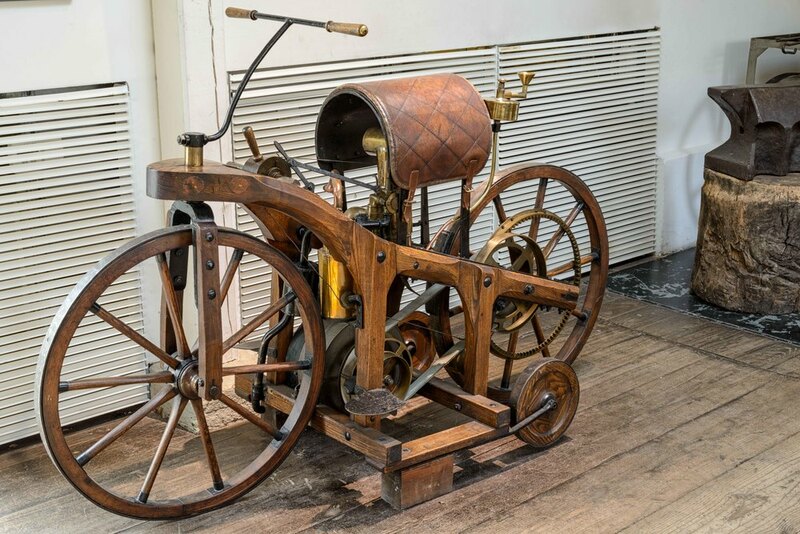 From the horizontal engine of 1883, Daimler and Maybach developed the upright single-cylinder unit, the so-called “grandfather clock”, whose crank mechanism and flywheel were for the first time encased in a crankcase sealed against oil and dust. This configuration served as a model for all engine designers at a later stage. The single-cylinder engine was suitable for installation into vehicles. They tested it first in a two-wheeler, the so called “riding car”. The vision of a lightweight, high-speed universal engine operating on petrol had become reality.